We’re currently looking for talented individuals who are passionate, dedicated, and hardworking to fit in our fast-paced industry. Please submit your resume, cover letter, and contact information, and we’ll be sure to get back to you. Do you enjoy working with your hands? Do you enjoy creating and building? Are you looking for a rewarding career with room for advancement both financially, personally, and professionally? 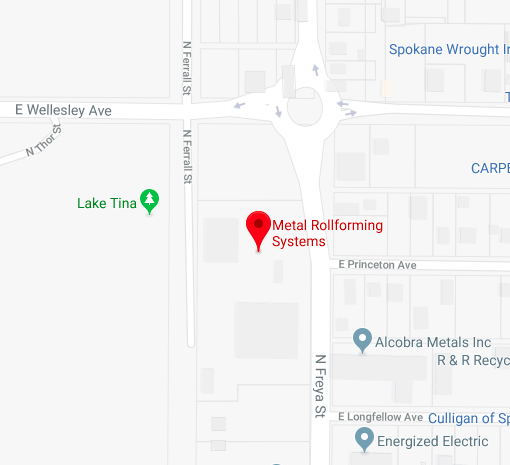 Metal Rollforming Systems is currently in search of a mechanic, technician, or maintenance professional to fill an immediate opening in our assembly shop. -Assembly of mechanical, electrical, hydraulic and pneumatic components. – Final testing, troubleshooting, and quality control of these components. **Applicants must be willing and able to travel throughout the U.S. and Canada. Typically 1-2 times/month for 4-5 days at a time. Travel will not begin until after training is complete. An additional financial incentive will be offered and compensation will be applied during travel. IN YOUR APPLICATION, PLEASE DESCRIBE YOUR EXPERIENCE IN THESE FIELDS. APPLICATIONS WITHOUT SPECIFIC DESCRIPTIONS WILL NOT BE CONSIDERED. Our company is family owned and operated in the Spokane area for over 25 years. 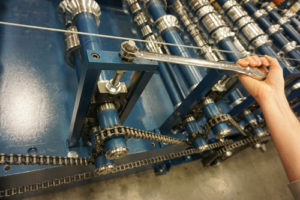 We design, fabricate, machine, and assemble all of our own equipment in-house. We value our employees and offer competitive wages, medical insurance, 401k, dental, and more. If you feel you meet the above requirements please send your resume, along with a professional reference list via email. Resumes without a reference list WILL NOT be reviewed. Compensation will be based on experience and will be discussed at the time of the interview. Thank you for your interest. We look forward to your application. Metal Rollforming Systems is a growing manufacturing company with a full in-house CNC department. We are looking to fill a position for a lead machinist in the mill department. -Ability to provide a personal tool and measuring instruments. If you are a motivated, hardworking individual looking for a fast-paced challenging environment, we offer excellent pay and benefits. We have superb employee retention and a very stable workload. To apply, please email your resume, as well as specific examples of experience in the fields listed above. PLEASE TAKE THE TIME TO CITE SPECIFIC EXAMPLES! We anticipate a large number of applications and a generic resume makes little impression. 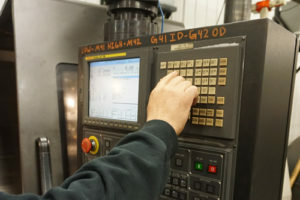 Take the time to discuss the experience in programming, setups, and machining. Thank you for your interest. I look forward meeting our next team member. MRS is a family owned and operated company that has been in business for 25 years. We are large enough to offer excellent benefits, but small enough to recognize each employee by name. We offer 401k, paid time off, medical and dental. We also offer highly competitive wages and seek to promote from within.